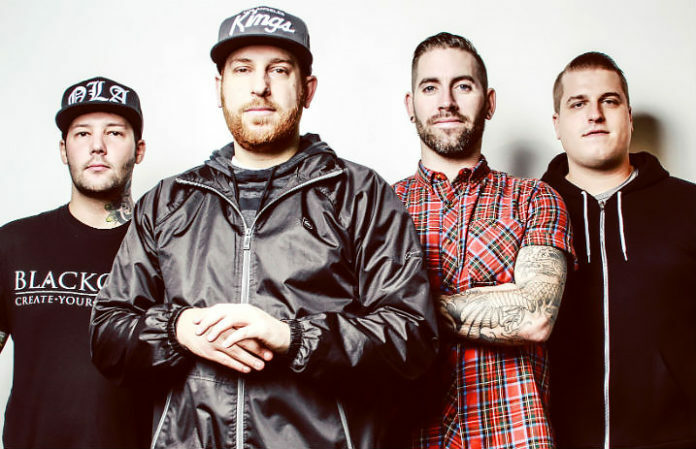 The Ghost Inside frontman Jonathan Vigil took to Instagram to talk more about the heartbreak of not being able to play shows. “Being completely honest and transparent, going to shows is HARD. And I don’t mean hard in the physical sense because most venues, staff, security, patrons and show goers are very accommodating to handicapped or injured people,” Vigil writes. He explains that he's faced loss before, but this loss is “something I can’t seem to do anything to cope with.” He thanks fans for their support, but he says it won't end what he feels. Being completely honest and transparent, going to shows is HARD. And I don’t mean hard in the physical sense because most venues, staff, security, patrons and show goers are very accommodating to handicapped or injured people. What I mean is it’s just hard… being here. It’s hard to know what we were and what we could be. I admit, I don’t go to shows as often as I should. As often as I want to. As often as I need to. But there’s a reason for it. I’ve experienced loss before. Loss of innocence. Loss of youth. Loss of a loved one. But this loss is something I can’t seem to do anything to cope with. It’s a hole that won’t close. It’s like sitting around and watching a movie about your life, knowing how it’s going to play out and screaming for it to be different but you’re not the one with the mic anymore. No one can hear you. They’ll be lots of extremely kind sentiments, comments, wishes and thoughts on here. They always hit me and the words do help. The support is there absolutely, but it doesn’t end what I feel. That’s the honesty and transparency of this all. It’s like, would you go into something knowing the only outcome is heartbreak? Being completely honest and transparent, going to shows is HARD. And I don’t mean hard in the physical sense because most venues, staff, security, patrons and show goers are very accommodating to handicapped or injured people. What I mean is it’s just hard… being here. It’s hard to know what we were and what we could be. I admit, I don’t go to shows as often as I should. As often as I want to. As often as I need to. But there’s a reason for it. —- It stings me. It hurts me. It’s bittersweet being here. I feel cheated. I feel wronged. I feel obsolete. Seeing a band play and knowing we had it. Knowing what we had. I had it. Watching a band play with a feeling of jealousy that I shouldn’t have but just can’t shake. It eats at me. I think to myself, “I did everything I could. I was that kid in the crowd singing along, aspiring to be up there. I worked hard and I did it. I got there. Like everyone else up there did. So how come they get to run around on stage when I won’t ever be able to run again? I can’t even walk on my own.” —- I’ve experienced loss before. Loss of innocence. Loss of youth. Loss of a loved one. But this loss is something I can’t seem to do anything to cope with. It’s a hole that won’t close. It’s like sitting around and watching a movie about your life, knowing how it’s going to play out and screaming for it to be different but you’re not the one with the mic anymore. No one can hear you. —- They’ll be lots of extremely kind sentiments, comments, wishes and thoughts on here. They always hit me and the words do help. The support is there absolutely, but it doesn’t end what I feel. That’s the honesty and transparency of this all. It’s like, would you go into something knowing the only outcome is heartbreak? The band have faced extensive recovery following their crash on Nov. 19, 2015. The Ghost Inside drummer Andrew Tkaczyk recently released an EP, Coma Visions, from his new project, One Decade.